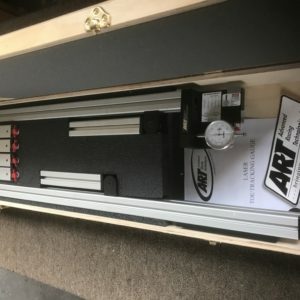 Advanced Racing Technologies (ART) of Staatsburg New York announces the introduction of a new laser-optical measuring device called “The Laser String”. 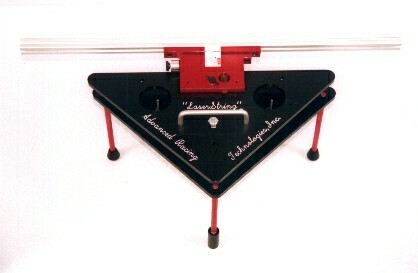 The device makes string alignment procedures obsolete while aiding speed and accuracy through use of laser technology. The “The Laser String” utilizes the same race proven laser component first applied to ARTs custom design laser for CART(Indycar) tech inspection system for 1996 and 1997 season for creating a reference plane parallel to the bottom of the IndyCar. It is the most advanced, state of the art, portable laser alignment system designed for motorsports. The laser supply or module is a battery powered 5 milliwatt solid state laser. It incorporates a laser diode and optical lens for laser focus and line generation. The removable CNC aluminum laser head with straight edge for alignment, mates with an innovative 3 axis self aligning tripod. 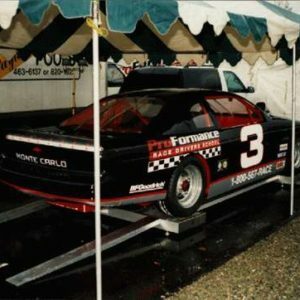 The unit is bi-directional so it can be used on either side of the car. Primary uses for the “Laser String” include; rear axle alignment, toe/tracking alignment, and track offset. 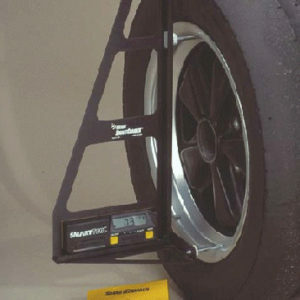 Unlike the traditional laser that emits a single point laser beam (like ART laser toe/tracking gauge), the laser string emits a vertical laser line to create a laser plane vertical and parallel to the tire surface. The goal in the design of the laser string was to provide a single mechanic the ability to perform a rear axle alignment using a procedure similar to the most common string methods used to day, hence the name “Laser String”. The Laser String is currently used by over 75% of the NASCAR teams and considered the corporate standard for many of the top championship teams. 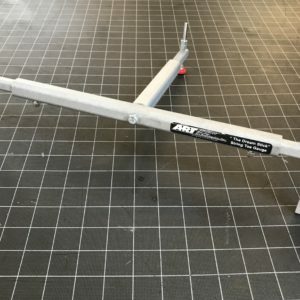 Not only is the Laser String the standard gauge for chassis setup, it is also considered one of the key components in stock car frame construction and body panel placement. The elimination of a second mechanic that is typically needed in the string method. The elimination of the mechanics judgment that a string is accurately aligned to the surface of the tire. The elimination of having to realign the string after an adjustment to the rear axle. Increased speed in performing an alignment which saves valuable labor. Create a horizontal plane above race scales or setup pad to set them on the same plane. Aim the laser at your body panels to create a reference line for lettering. Aim the laser at the chassis centerline above the roll cage for setting body panels. Create a reference plane on the chassis centerline under the vehicle. Aim the laser to the rear of the vehicle to check alignment of rear tail clip on a stock car.